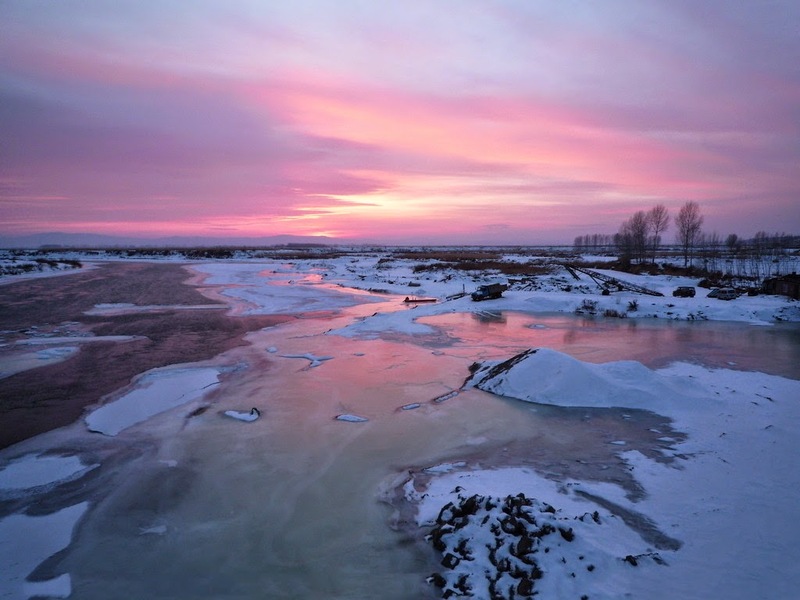 Songhua River is one of the largest tributary of Keilong River flowing 1,434 kilometer through Jilin and Heilongjiang provinces of China. The river originates from the Crater Lake known as Heavenly Lake in Changhai Mountains. The Crater Lake is situated 2,189 meters above the sea level. The water spill out from the lake like a waterfall, as if it is gushing out from the heaven. 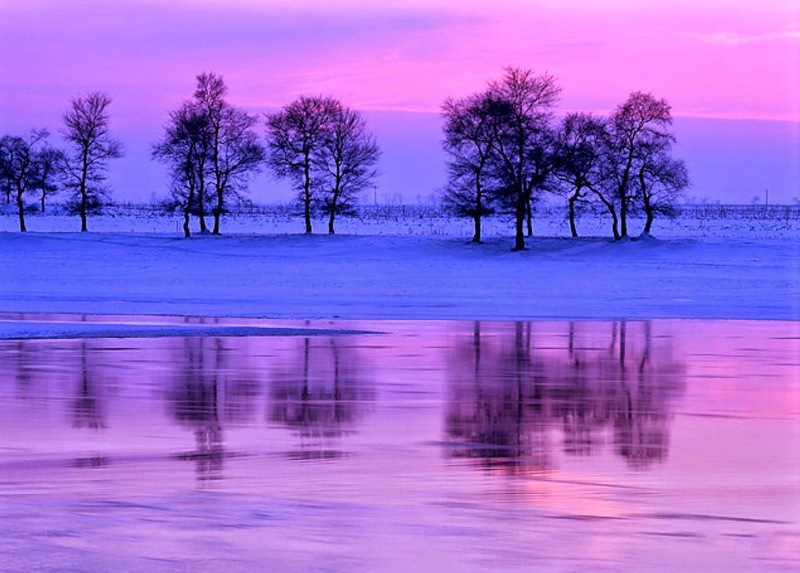 In Manchurian dialect it is known as 'Songga liwula' gives the meaning "Heavenly Lake". The Songhua could be a modulated version of Manchurian dialect Songga liwula. 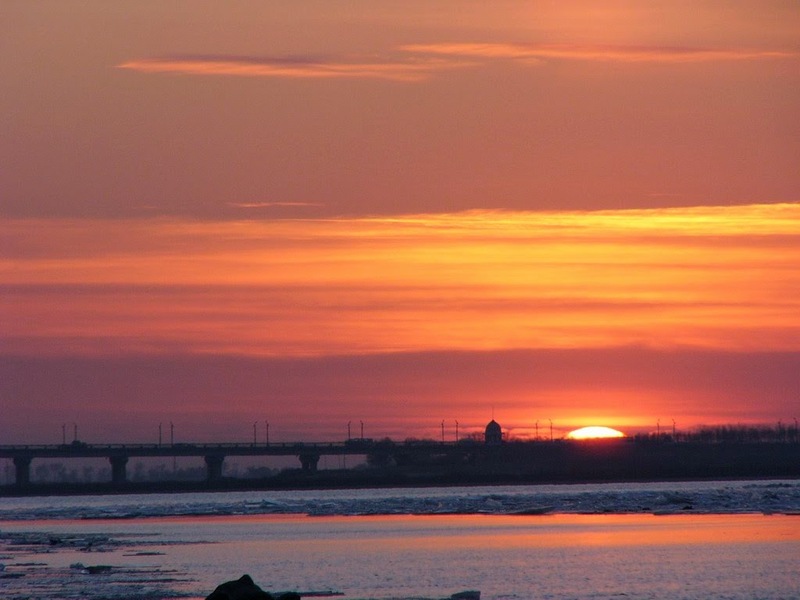 Songhua River freezes during the end of November to March. Since the river is passing through the Manchurian plain, the river is extremely wider in most part. The width of the river is an average 1 kilometer and having a depth of 4 meter mostly. There are 900 tributaries contribute to add up its water flow. 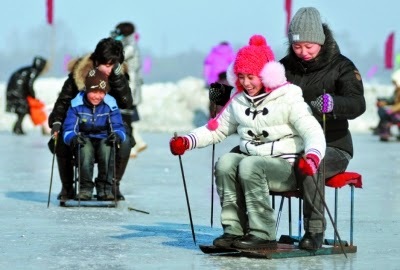 During winter season, there will be lot of ice sport over the frozen surface of the river. The ice flooring will have more than one meter thickness in almost all areas and as a result all kind of ice sporting activities shall thrive during the season. 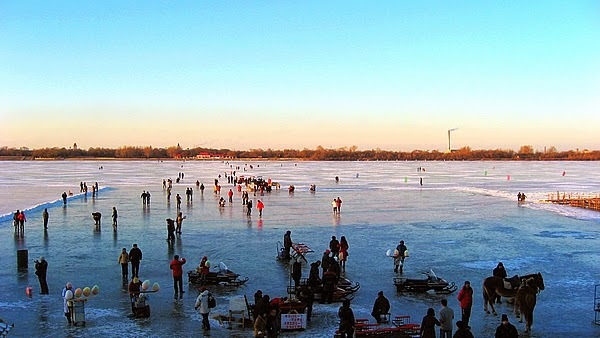 Ice skating, swimming, ride in ice junks or pleasure drive on horse/dog-drawn sleighs are some of the entertainment activities normally seen here. The north side of the river is extremely beautifully for its natural layouts, especially during winter season. There are three parks located in the southern side of the river. They are Stalin Park, Dawai Park and Nine Station Park. All these parks are interconnected. 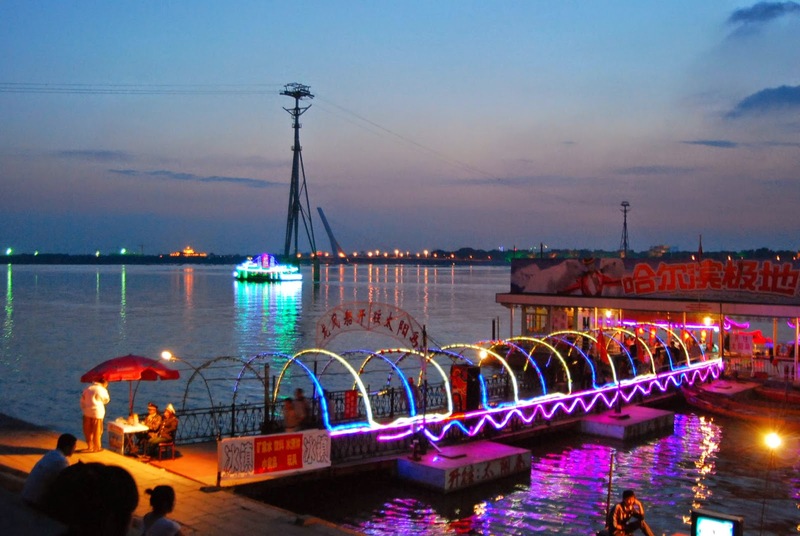 The parks are built along the banks of the river and are the longest park in China built in the banks of a river. In the north side of the river situated the Sun Island Tourist Zone. A river cruise will be an enthralling experience. You can see beautiful gardens bloomed with various types of flowers, Swaying lush green trees and various colorful pavilions on both side of the river. The natural islands in the middle of the river and banks of the river are ideal location of sun bath. The colorful views of the surrounding are much appealing and supple. You can never forget the views of the flying Songhua River and Road Bridge, the wonderful River Club, the majestic Labor's Stadium and the skillfully designed Stalin Park. The river has played a major role in bringing development in to the city. Historians has recorded that in 17th century during the reign of Emperor Kagxi, navy vessels had positioned here to protect the country from enemy invaders. Many times they fought with Russian invaders successfully. As per the records it could be seen that during 1689, a border agreement with the Russians was signed by Qing Dynasty. This is the first agreement that could be established officially, between the Imperial Russian Government and the Qing Dynasty. Russian engineers conducted a Topographic mapping of the region in 1898 and the river was used to transport lot of material to build the China-East Railway. As a result a modern city was formed on the south side of the river. Today you can see the Flood Control Monument, where all the busy development activities were happened at that time. The banks of the river shall be busy during winter season. There will be lot of activities such as people practicing ball room dancing and taichi. Tourist can have relaxing experience while strolling through the river.